Miles Davis is one of the best jazz musicians to have ever lived. His life in and out of the studio was well-documented and full of surprises, success, and downfalls. It all translated into his one-of-a-kind sound on each of his albums, and he became one of the top purveyors and creators of modern jazz. 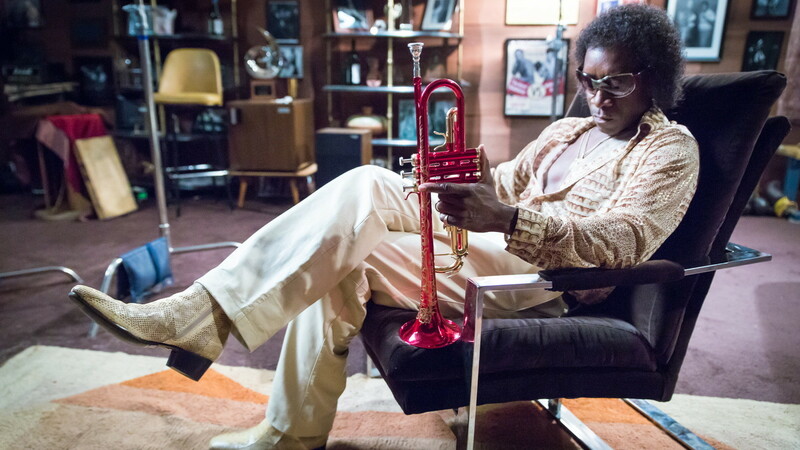 Actor Don Cheadle (‘House of Lies‘) is obviously a big fan of the musician, and personally financed and stepped into the writing and directing chair for this one, marking this project as his first directorial effort, as well as the star in this Miles Davis biopic titled ‘Miles Ahead‘. Film Review: ‘Lambert and Stamp’! This entry was posted on Wednesday, April 13th, 2016 at 2:36 pm	and is filed under Film, News. You can follow any responses to this entry through the RSS 2.0 feed. You can skip to the end and leave a response. Pinging is currently not allowed. « ‘Star Wars’ Trilogy Road Show To Air First Three Flicks!! !